It’s what we look forward to all year; we get to relax and let loose for a few weeks. December, it holds so many opportunities, such as meeting new people, experiencing new activities and trying out new cuisines. It’s also the time to try out new window coverings, to protect you and your loved ones in style. 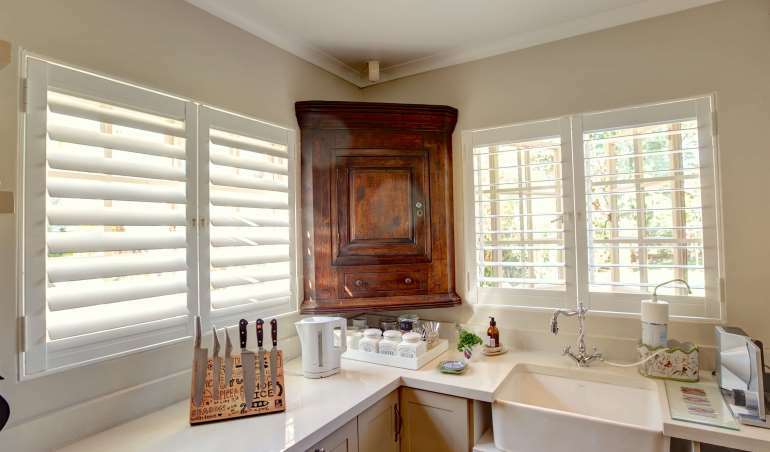 Spend your next festive season in comfort with your very own custom-made shutters. It’s not just for aesthetic purposes, but also has many other benefits. Keep on reading to find out more about this promising product. When it comes to this busy month, most people go on vacation and spend their days worrying about the safety and security of their home. By installing shutters, it’ll not only put your mind at ease but also provides complete privacy, so your home is protected from the prying eyes of onlookers. It’s the month where we welcome the sunshine. However, the heat can become overwhelming. Curtains, draperies and shades block out some of the harsh rays, but not entirely. Shutters are the perfect solution to this problem as the slats shut completely, preventing light from creeping through. Sometimes all we want to do is snuggle up on the couch and watch our favourite television program, but are unable to achieve this as the room is too hot. With shutters, this problem will be a thing of the past, as it regulates the temperature control of ones living space. It does this by trapping the hot air between the panels and window. The same process occurs in winter, where it traps cold air. Talk about having the best of both worlds. Although this month is festive, it also comes with a few problems, like overspending on expensive gifts, which can leave you with empty pockets. Save money this coming year with affordable shutters, as it works as an insulation shield. Instead of turning up the air conditioner to control the temperature, just close the shutters for complete cool comfort. Tis the season to spoil oneself with stylish indulgent gifts. Be the envy of your neighbours, with your patented shutters. This type of window covering is incredibly versatile, clean and neat that it fits in with any decor, whether it be indoors or outdoors. Make the most out of your December budget by purchasing this fantastic product. It won’t just save you time and money, but it’ll also increase the value of your home. Even though it may be a bit late to install your shutters now, spoil yourself with this purchase and we will gladly help out in the New Year well in preparation for 2018. This entry was posted in Security Shutters and tagged security shutter, Security Shutters, Shutter Supreme, Shutters.